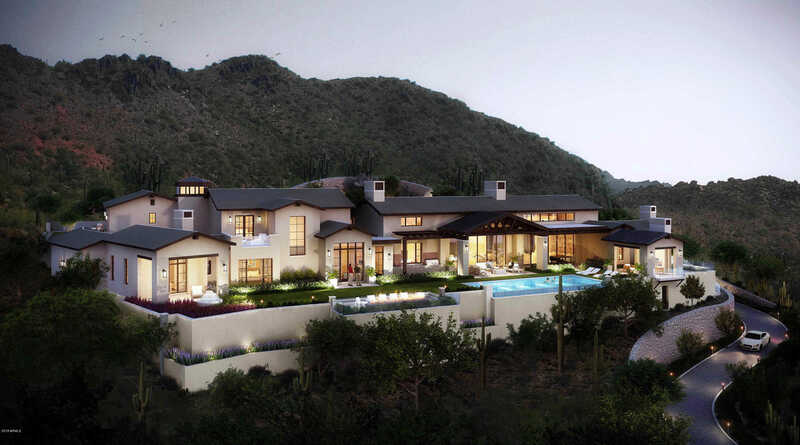 Absolutely Stunning New Custom Home on one of the most secluded & private Lots in Silverleaf Upper Canyon. This 3.98 acre estate with a huge 44,400 sq. ft. building envelope has panoramic views of the McDowell Mountain Preserve and fantastic city light views to the southwest. Exquisitely designed Modern Ranch masterpiece has been created by a collaboration between PHX Architecture and Sommer Custom Homes. The home’s architecture is infused with sleek clean lines, walls of glass, metal trusses & pergolas, light filled rooms, and luxurious finishes. 6-car oversized Garage space w/ storage cabinets & Hobby Room, Guest House with separate entrance and lockable access to main house includes fireplace, coffee bar, and covered patios front and rear. I would like to schedule a showing appointment for this property: MLS# 5831150 – $7,395,000 – 10870 E Canyon Cross Way, Scottsdale, AZ 85255.